It's raining colour! Introducing Rimmel's Moisture Renew Lipstick featuring an intense pigment rich ultra lightweight formula that feels comfortable on the lips. This vitamin A, C and E enriched formula with SPF 20 UV protection drenches lips in intense colour and moisture. About the Brand : Rimmel London is a British cosmetics brand that brings you innovative range of makeup products. From your make-up essentials to experimental on trend colours, Rimmel London has something for everyone and every occasion. The brand is constantly innovating to re-shape convention, create new looks, to give you the tools to explore new versions of your look. All Rimmel products are safe and have been developed, manufactured and packaged in compliance with the laws, regulations and guidelines that are applicable in each country in which they are sold. Explore the entire range of Lipstick available on Nykaa. 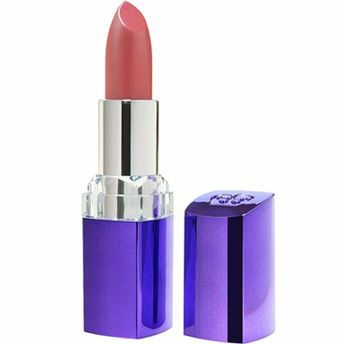 Shop more Rimmel products here.You can browse through the complete world of Rimmel Lipstick .Alternatively, you can also find many more products from the Rimmel Moisture Renew Lipstick range.